Her ability is match for being "Onee-sama", but her personality is far from ones. I always like slice of life side of Railgun. It's good to see life in Academy city more often. Interesting developments. The ghost girl wants Junko to discover the truth about her death. This is going to be very interesting. It definitely has a lot of possibilities and interesting directions it can go. 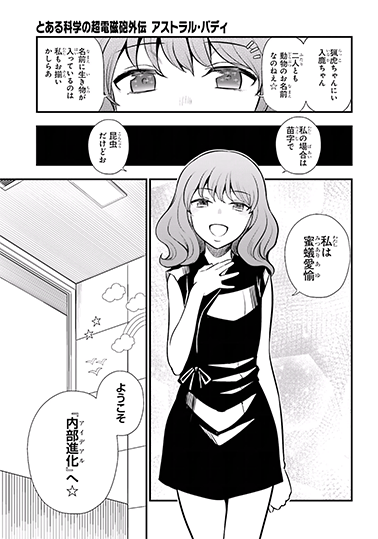 Chapter 5 introduces a new Tokiwadai student named Yumiya Iruka; who is a member of Tokiwadai's archery club an seems to be the current antagonist of the arc. The thing to note is that she shares the same surname as Shidarezakura's Yumiya Rakko, the sniper from SCHOOL. From all these spin-offs. I don't know how Academy city keep their's dark secret this long. This new arc, I'm not sure it will be just jealousy/scramble in school or this will lead to bigger incident. Misaki, was fall so fast. I interested how antagonist has done it. So, this arc Junko will be the prince goes to save princess (Misaki)? I'm kind of interesting to see what will happen next. 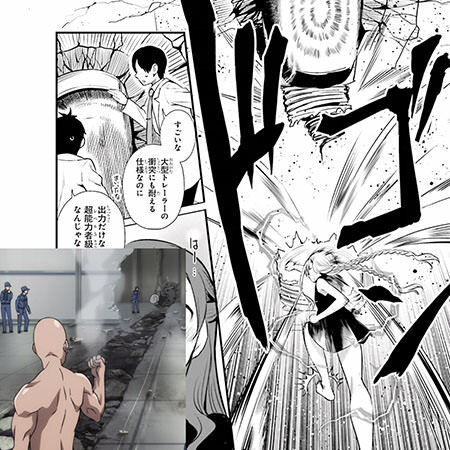 We finally seem to be getting somewhere interesting with Iruka and the attacks on Misaki. What's interesting about the names of the two Yumiyas are the connection with their abilities. Rakko (name is written with the characters for "hunting" and "tiger") is known for her tracking and hunting abilities. Iruka (wordplay on the word for "dolphin") seems to have a sound-based ability that can shut down people without contact. One is a sniper, the other is an archer. Sisters? They are both named after aquatic mammals (Rakko = sea otter, Iruka = dolphin). Anyway, we're still not making that much progress in Astral Buddy. I'm personally not used to it. And oh boy, I LOVE THE comment that even misaki is jealous of misaka getting close to touma! Love how that even the author acknowledge she very close to touma compare to the other girls. You should probably read NT11 again because it was already mentioned there. I definitely remember the narration directly draw the lines between Misaka and Shokuhou but I don't remember which part in NT11 exactly. Indeed it's on NT11 and it was about Mikoto taking the place Misaki used to have rather than being close . Hold up, is this "ghost in the Dream Ranker Card" an allusion to beings that can persist through the loss of a physical body like Saint Germain and Hisako Yakumi? I loved the reference to NT11, and the short discussion about Misaki's power and how she and others see it, and thankfully ghost girl seems to be doing something beyond teasing Junko. Still eagerly waiting for Junko's rematch against the ninja, I didn't expect to have nice fights in this manga. I thought Junko would have a rematch with the ninja girl, but Iruka was the one waiting for her. Well, Iruka's power is cool and the fight between them is good so far. On the flashback side, it's kind of sad to see Mitsuari's slow realization that she's no longer progressing in esper development. Seven Seas has licensed the Astral Buddy manga.